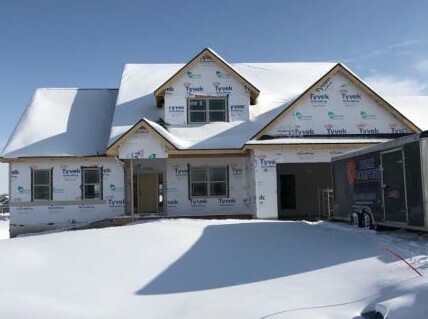 ​Yes, Mother Nature can be difficult to deal with when you are building a new home. 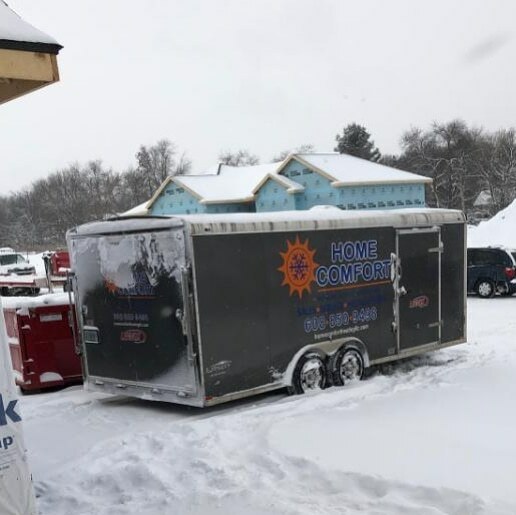 Thank goodness we have a great relationship with our HVAC subcontractor, Home Comfort Heating & Air Condititioning, as they have braved the elements today to keep our project on track! They are out there today hooking up the venting and gas pipe to get the furnance up and running because we will definitely need the heat in this house as the temperatures start dropping into the negative numbers. Heat is very important for other trades to continue on with with their jobs as well. And the build continues!